The Gene and Linda Voiland School of Chemical Engineering and Bioengineering is hosting a seminar presented by Markus Wimmer, Grainger Director of the Rush Arthritis and Orthopedics Institute, Rush University, Chicago, Illinois. Professor Wimmer is the Grainger Director of the Rush Arthritis and Orthopedics Institute in Chicago (IL) and serves as the Associate Chairman for Research in the Department of Orthopedic Surgery at Rush University Medical Center. He also holds conjoint appointments in the Department of Cell and Molecular Medicine and the Division of Rheumatology. He further is Adjunct Faculty Member of the Department of Bioengineering at the University of Illinois at Chicago (UIC). Prof. Wimmer received his Diploma in Mechanical Engineering at the Technical University of Munich (Germany). After a research internship with the German national ski team, and a post-graduate year at Rush Presbyterian St. Luke’s Medical Center in Chicago, Prof. Wimmer continued his education in Germany and earned a doctorate degree in Biomechanics at the Hamburg University of Technology. Before joining Rush University in 2001, he spent four years at the AO Research Institute in Davos, Switzerland as a Group Leader. 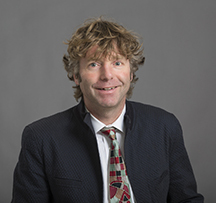 Prof. Wimmer’s research includes both osteoarthritis and total joint replacement and he uses motion analysis and tribology to study wear and lubrication of natural and artificial joints. He has published over 180 manuscripts and 40 book chapters. Recent increases in adverse local tissue reactions have sensitized the orthopedic industry and clinical community for the need of better methods for preclinical testing. Although wear and corrosion have long been recognized as a problem, we only started to understand the driving factors behind wear, tribocorrosion, and the underlying mechanism of immune reaction to such debris. This presentation will highlight the importance of mechanistic analyses accompanying preclinical in vitro and in vivo testing. A particular focus will be devoted towards our recent efforts to study the interaction of cells and tissues with metal degradation products.